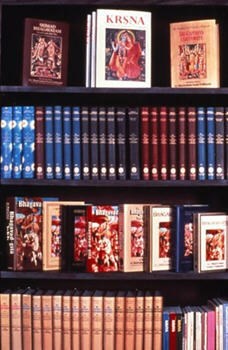 When many of us came under the care and direction of Srila Prabhupada, during that time in ISKCON, 1972 was just about to kick in the incredible expansion and the worldwide spiritual book distribution program. So many books were distributed in a short time frame, 1972-1977, to such a degree I seriously don’t think it has been matched in the entire world to this day. I have always tried to somehow, whether playing music or driving a taxi in Washington DC, get Srila Prabhupada’s books into someone’s hand. What’s so disturbing as I travel around the country, always listening to the pulse of Srila Prabhupada’s ISKCON book distribution program, is that it’s going on, but not to the degree I remember from the past. Now because of a court case which most of us had nothing to do with, and honestly could care less about, even if we did have something to do with the case directly, it would still have nothing to do with the transcendental sound vibration emanating from these great literatures. The verse ahaituky apratihata — no material condition can check the transcendental sound. 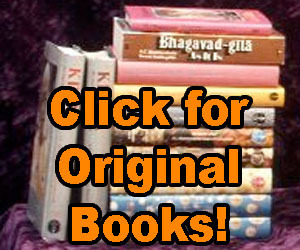 The change disease has gotten to the point where devotees are being demonized for wanting or distributing these same books we grew up with and happily distributed, because we knew it pleased Srila Prabhupada so much. The same books we were proudly arrested for distributing, the same books we heard Srila Prabhupada give numerous lectures from, the same books we have witnessed Him so proudly give to guests and dignitaries throughout the world — and because of a court case, which is a material condition, just the mere concept or thought process of any sort connected with these books in a “negative way, un-bonafide, bogus, not politically correct enough” is simply a great offense and totally unacceptable. To stand aside and keep quiet is also unacceptable. How can we allow this madness to continue like this? The influence of Kali-yuga is definitely involved in this case, no doubt, and this disease will continue. But let us continue to pray, hope and do all we can so at least some may not be affected by this disease. All Glories to Srila Prabhupada! His great literatures to save this world and His endless continued preaching mission serving Srila Bhaktisiddhanta Sarasvati Goswami Prabhupada and Sri Chaitanya Mahaprabhu!! Why don’t they agree that the original books can be the “ENGLISH” editions and the books that have been edited, they can have as the “AMERICAN” editions , and have them on the shelves at the temples. Then someone can have the choice of which to purchase. Else it will be a case of “Devotee rearing” instead of “Devotee protection”.